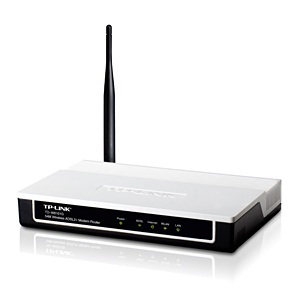 Millions of small office and home (SOHO) routers are affected by a critical security bug that can be exploited by a remote attacker to hijack the devices, Check Point revealed on Thursday. The vulnerability, dubbed "Misfortune Cookie," exists in RomPager, an embedded Web server from AllegroSoft. The bug has made its way into routers through a software development kit (SDK) used by device manufacturers for firmware development. The flaw (CVE-2014-9222) was introduced in 2002 and it affects RomPager versions prior to 4.34. AllegroSoft uncovered the vulnerability during an internal code review and patched it in 2005. However, many vendors ship their products with the vulnerable version even to this day. Check Point has identified a total of 12 million vulnerable routers spread out across 189 countries, but the company believes the actual number of affected devices could be even higher. In certain countries, 50% of Internet users are likely affected, researchers said. The list of vendors whose products are affected includes Huawei, Edimax, D-Link, TP-Link, ZTE, and ZyXEL. "The Misfortune Cookie vulnerability is due to an error within the HTTP cookie management mechanism present in the affected software, allowing an attacker to determine the ‘Fortune’ of a request by manipulating cookies. Attackers can send specially crafted HTTP cookies that exploit the vulnerability to corrupt memory and alter the application state. This, in effect, can trick the attacked device to treat the current session with administrative privileges – to the misfortune of the device owner," Check Point explained on a website launched specially for the presentation of this bug. By leveraging the vulnerability, an attacker can gain administrative access to the target's network and all the devices connected to it, including computers, printers, tablets, phones, security cameras and Internet of Things (IoT) devices. The attacker can conduct man-in-the-middle (MitM) attacks in an effort to collect sensitive and private information from the victims. Malicious actors can also make configuration changes and install malware on the machines connected to the network. In the case of home users, cybercriminals could access their webcams and spy on them. In the case of businesses that use vulnerable routers, attackers could steal valuable information from network-attached storage (NAS) backup drives, Check Point said. There is no evidence that this vulnerability has been exploited in the wild, but it's possible that at least some groups have leveraged the bug without being detected. According to Check Point, it's possible that the security hole has been exploited in some of the router attacks seen recently. In a typical environment, there aren't any log files that would help users identify exploitation of the Misfortune Cookie vulnerability. Affected users might discover that they can no longer access their router's Web interface, or they might find configuration changes. Check Point reported its findings to AllegroSoft and several major vendors. Some of them confirmed the issue and promised to release firmware updates; others haven't responded to the security firm's notifications. As researchers have often demonstrated over the past months, many routers are plagued by more or less severe vulnerabilities. Security holes have been uncovered in routers from Belkin, Netis, Asus, Cisco, Linksys, and other vendors. It's not uncommon for these flaws to be actively exploited by malicious actors. For example, in February, reports surfaced about a worm, dubbed "Moon," that targeted Linksys routers. In March, researchers at Team Cymru shared details on a campaign in which 300,000 SOHO routers throughout Europe and Asia had been compromised.